Bathtubs, while a common bathroom feature, don’t always get a lot of use. 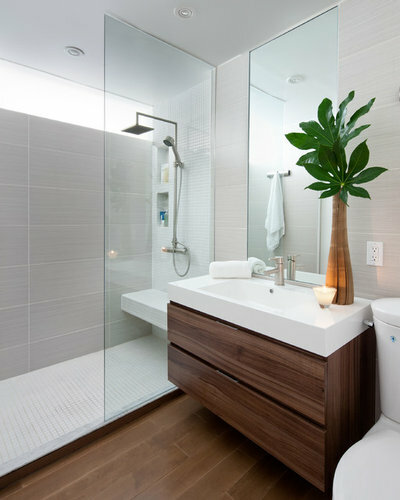 Fifty-six percent of respondents to a Houzz survey say they never use their tub for taking a bath. 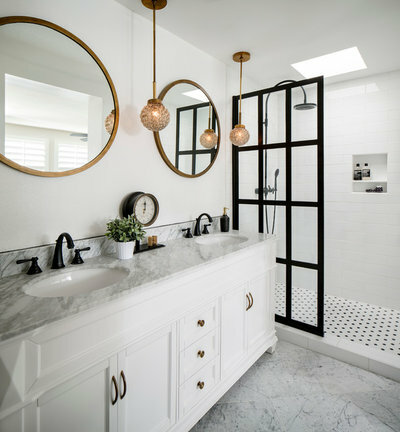 So it’s no surprise that some people are opting to take out the tub altogether when they remodel their bathroom.Let’s take a look at six bathroom transformations that said goodbye to the tub. Maybe these scenarios will shower you with new ideas for your own bathroom. 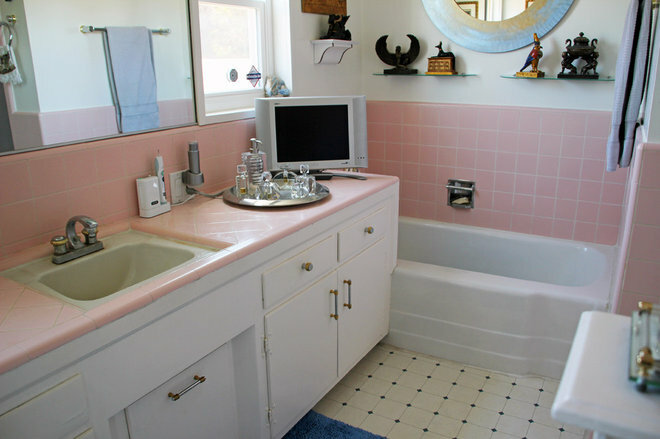 Before: A renovation in the 1980s left this bathroom dark and cramped. After: A large glass shower greets the homeowners, who chose a plan that would age along with them. 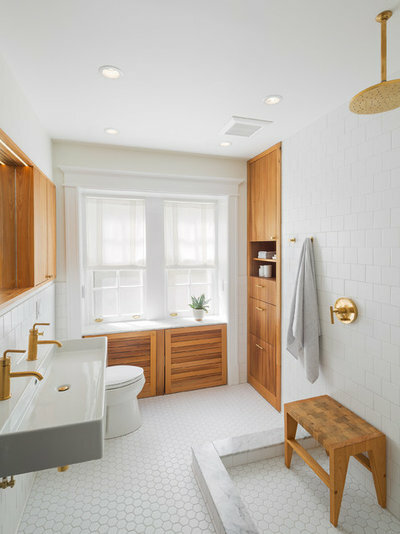 The designer, Christa Pirl of Christa Pirl Interiors, focused on adding a shower that allowed easy access should the couple have any mobility problems in the future, something their previous tub didn’t do. 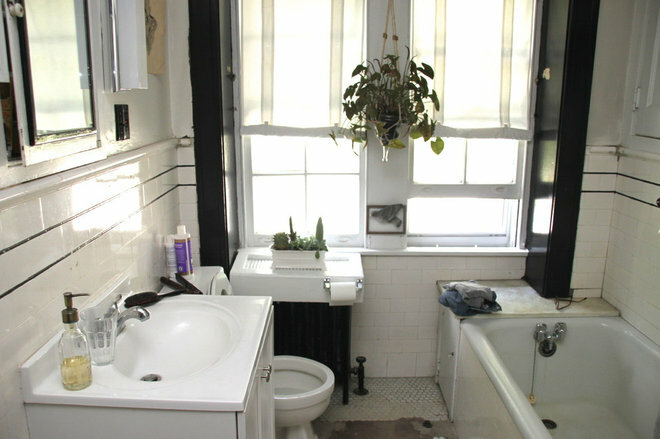 Before: This 1912 bathroom had patched tile, limited storage and flickering fluorescent lights. After: The couple gets a bright, warm bathroom, designed by Brian Osborne of Osborne Construction and Niko Dyshniku of Kole Made, complete with a large shower. (Note: A glass panel was added to create a side on the shower after this photo was taken.) The couple had fewer reservations about having only a shower in this space because the home has another bathroom with a tub. 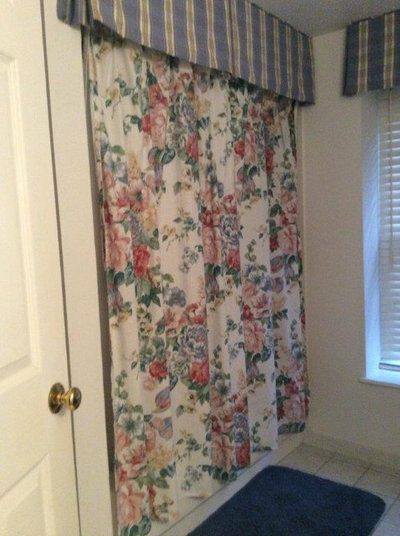 Before: The shower was tucked back into the corner of the space and was closed off from the rest of the room by a curtain. 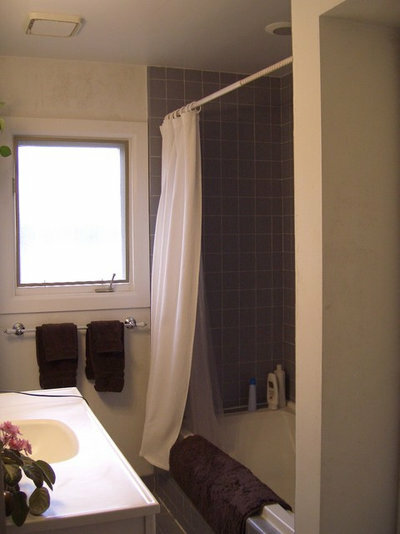 After: Meredith Tomlin-Hilliardand designers from Lee Kimballchanged the space into a shower stall. 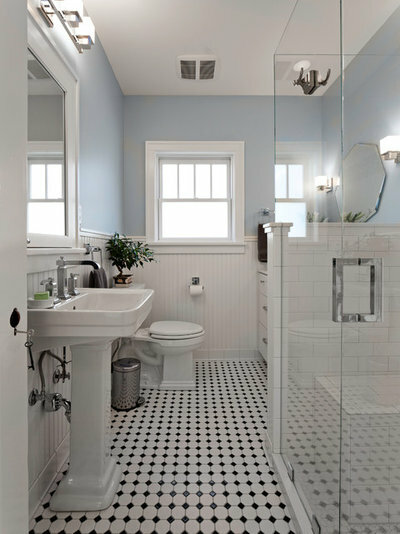 It opened up the space, making the bathroom feel larger, lighter and airier. The shower covers about the same footprint as the previous shower but gives the room a whole different look. 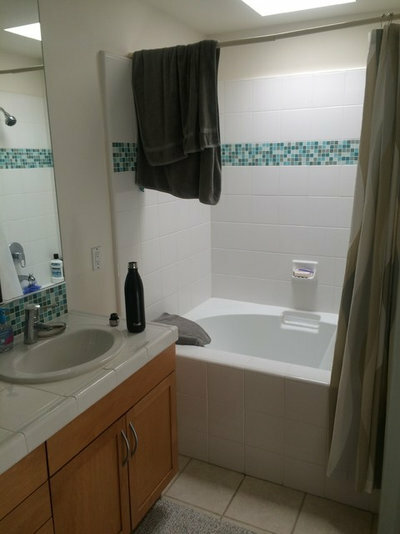 Before: When the owners purchased this condo, the bathroom had a mismatch of styles in the bathroom, as well as outdated electrical and ventilation. After: The renovated bathroom by Projekt Home (Paul Kenning Stewart Design) created a bathroom that efficiently uses space and requires little maintenance. One maintenance saver was the fixed-glass shower door. It also lets in additional light, along with the new window, to make the space brighter. Before: Not only did the homeowner not love the color, but a recent leak that flooded her home had left black mold in the bathroom. The vanity also was jammed against the tub, making everything feel crowded. 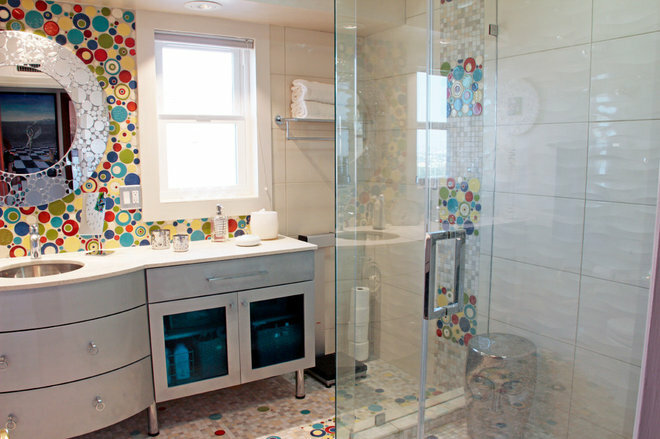 After: A large, glass-walled shower fills a corner of this artist’s now very colorful bathroom. The removal of the tub gave the homeowner more room, and she wasn’t concerned about the resale value of not having a tub. 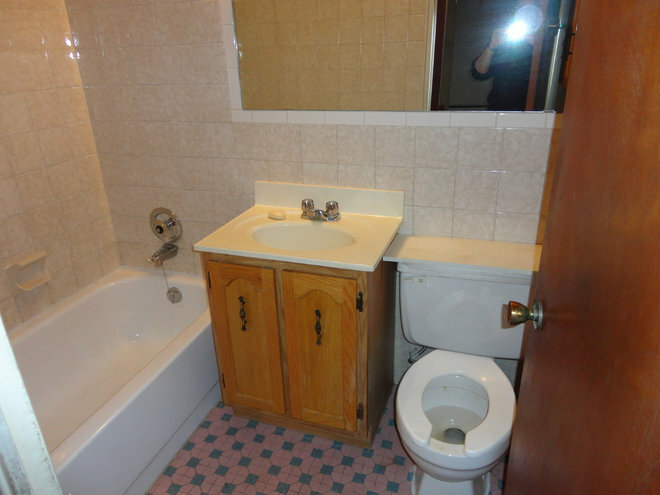 Before: The bathroom was functional but felt clunky and didn’t match the family’s style. After: A walk-in shower with a rain shower head and divider brings an open, 1920s style to the family’s bathroom. Corine Maggio of CM Natural Designschose the black trim to amp up the contrast in the room.